COLIN, A., FORD, T., LOPEZ DE LA TORRE, A., SPRINGER, K. (eds) 2010. Do you remember Olive Morris?. London: Gasworks and Remembering Olive Collective. 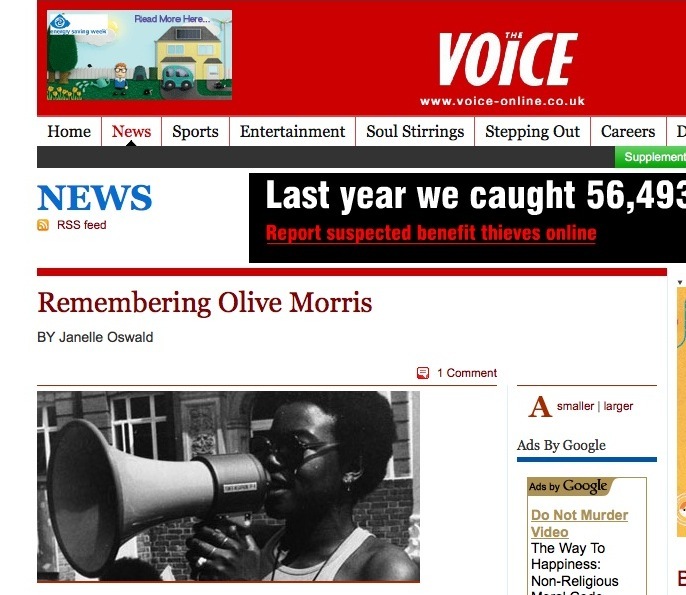 The publication was the final outcome of the Do you remember Olive Morris? project, and was launched on Saturday 23 January 2010 with an event in Gasworks. The texts, articles, essays and inteviews included in this publication are organised in two categories: History and Remembrance/Legacy. 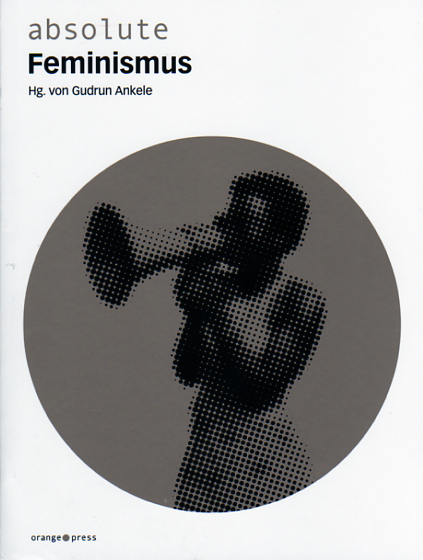 The fist part provides a context to Olive Morris’ life and times, her work as an activist and that of her contemporaries. 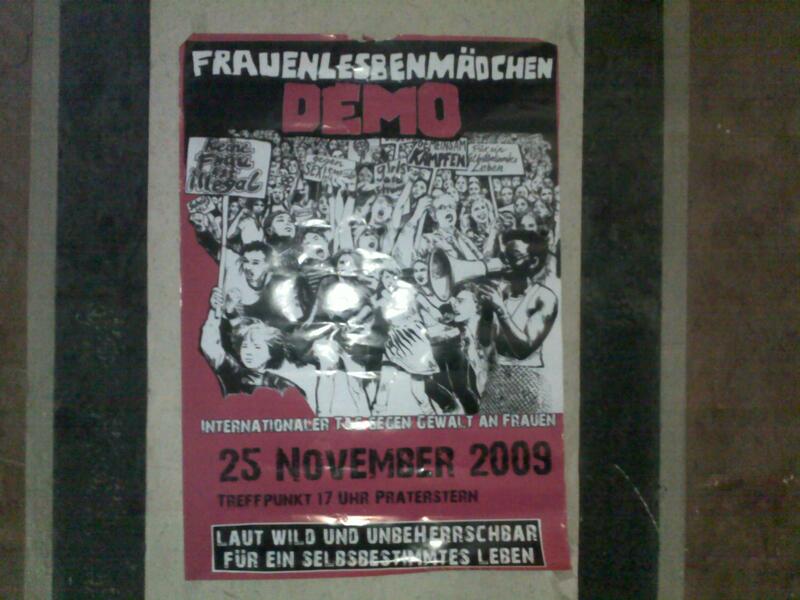 While the contributions largely focus on the British context, some draw parallels with movements and actions that took place in the 1970s in the US. 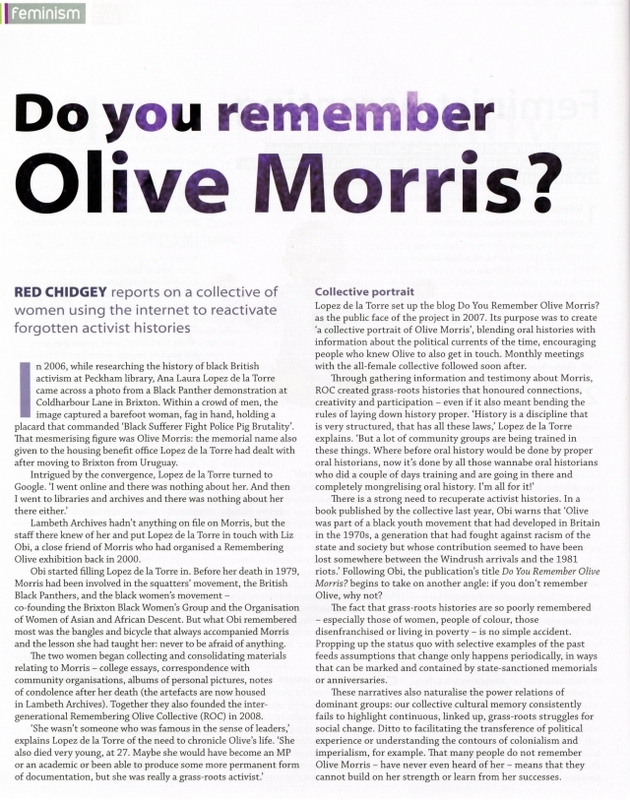 The second part records the work and experiences of the many contributors to Do you remember Olive Morris? The publication also includes a selection of poems celebrating the spirit of Olive Morris and of her times, and is illustrated with historical photographs of the UK Black Panther Movement by Neil Kenlock, and of the many activities that made up the Do you remember Olive Morris? project. 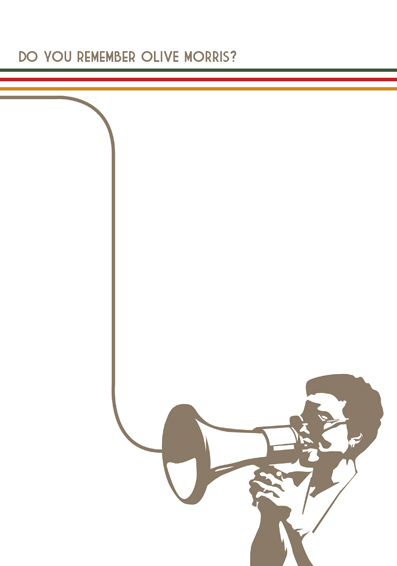 We are hoping to publish the book in the blog as a series of dowloadable PDFs and to make sales available online.